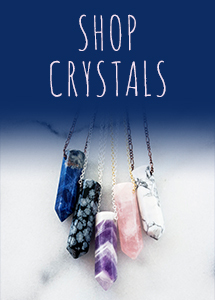 Mantras can be any thought, goal, idea, or vibration that speaks to you. But above all, they are sound. They connect you to the universe, because sound echoes everything in the universe. This sound is incredibly powerful. Ancient texts have stated that the divine, or God, originally manifested as the sound of Aum. 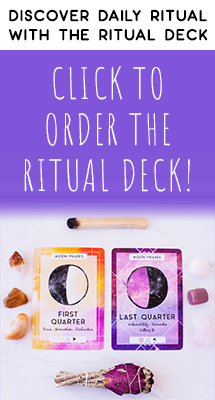 They help you focus and calm the fluctuations of your mind, purify your chakras, heal your soul, change negative thought patterns, release stored tension, and dig deeper within yourself. They are about becoming. Mantras help you become that which you wish to see. The more you repeat them, the more powerful they are. 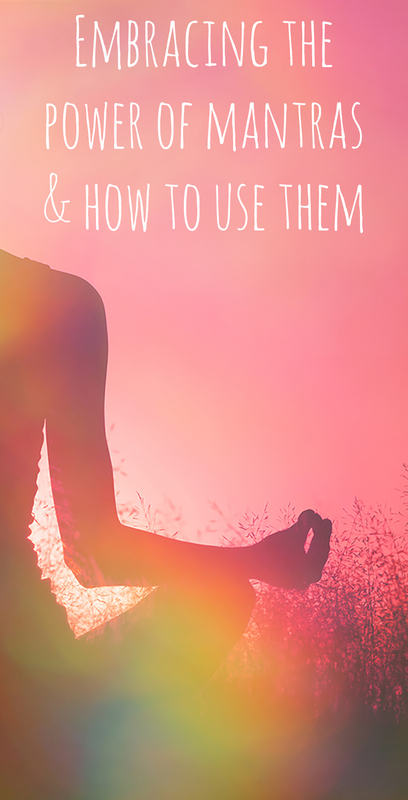 The great thing about mantras is how easy they are to use! Simply chant them out loud to harness the power of sound, or chant them silently in your mind. No props or tools required other than the breath and the mind. Mantras are a beautiful way to set an intention at the beginning of your yoga practice, infusing it with more meaning. Closing your yoga practice with mantra is a powerful way to remind yourself what you’d like to take with you off of your mat. You may also want to incorporate mantra into your asana or pranayama practice, matching one breath to one syllable or word. But mantras don’t have to be used exclusively with yoga. 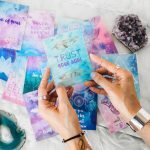 Writing mantras down is a powerful way to set an intention, too. 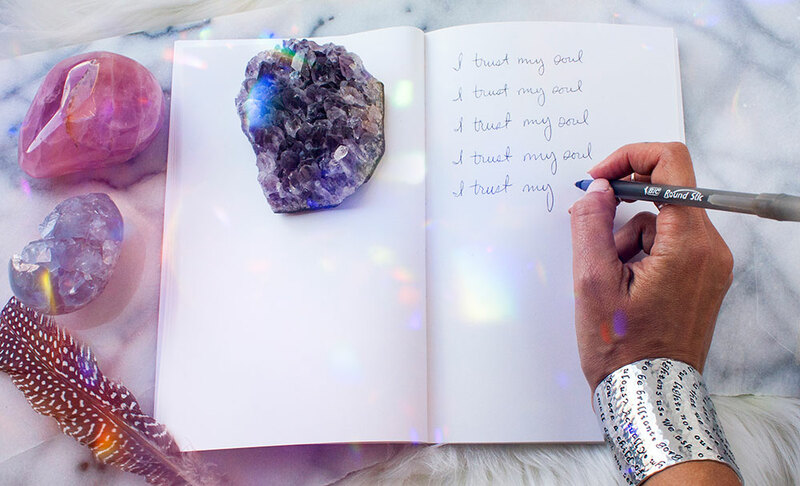 Try writing your favorite mantra in your journal or even making it the background on your phone as a reminder of what you want to bring into your life. Another popular way to use mantra is in meditation. Chanting the mantra out loud creates that sound of the Universe, but you can also chant the mantra silently as you meditate. 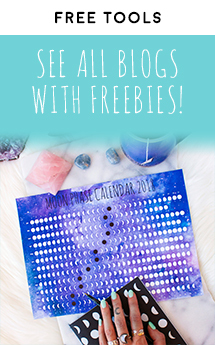 Scroll through the list of mantras below or get creative and make your own. There really is a mantra for wherever you are in life and whatever you’re feeling, and of course this is by no means an exhaustive list! All is well. Everything is working out for my highest good. Out of this situation, only good will come, and I am safe. If you need grounding, especially during this time of transition to the darker part of the year, use this mantra from Louise Hay for a reminder that everything is as it should be. I am protected is another great mantra for grounding. 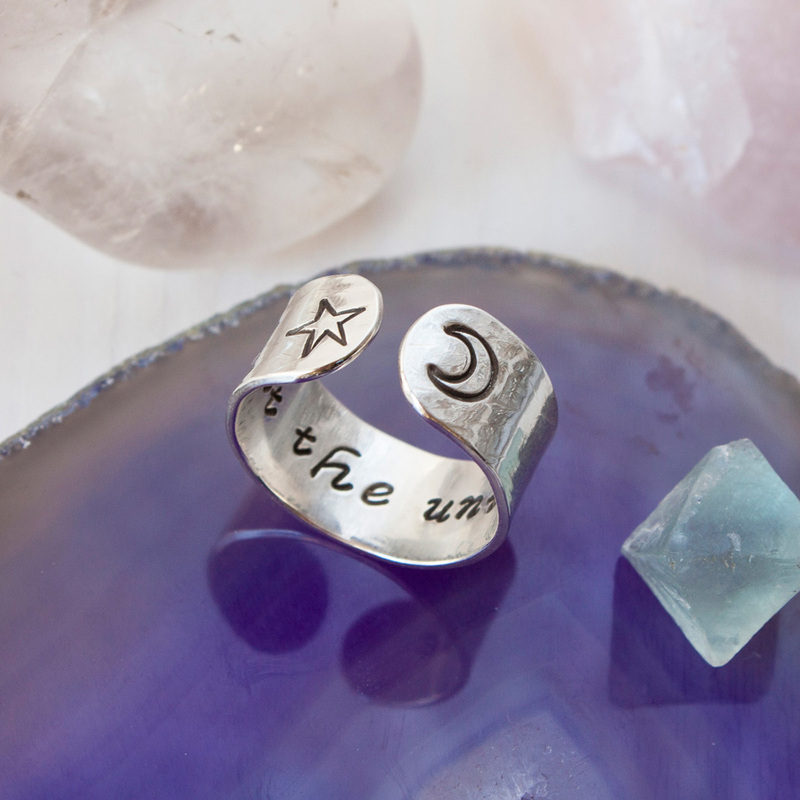 For an extra reminder throughout your day that you are grounded, safe, and protected grab a Hamsa Hand Protection Ring. I am curious and open to being led. 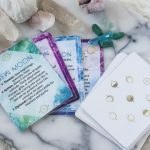 If you feel a sense of rigidity, where you aren’t allowing yourself to explore and be open to what the Universe may send your way, use this mantra as a reminder to flow. I trust the Universe. Sometimes you may lose faith, and that’s okay. It’s part of being human. Meditate on this mantra to tap back into that place of faith and trust within you. Wear it on your hand as a reminder that this place is available to you all the time. Aum. Commonly written as Om, this mantra represents the sound of the Universe and is often used at the beginning and end of yoga classes. Use Aum to calm the fluctuations of the mind and attune to the frequency of the Universe. In the waves of change I find my true direction. 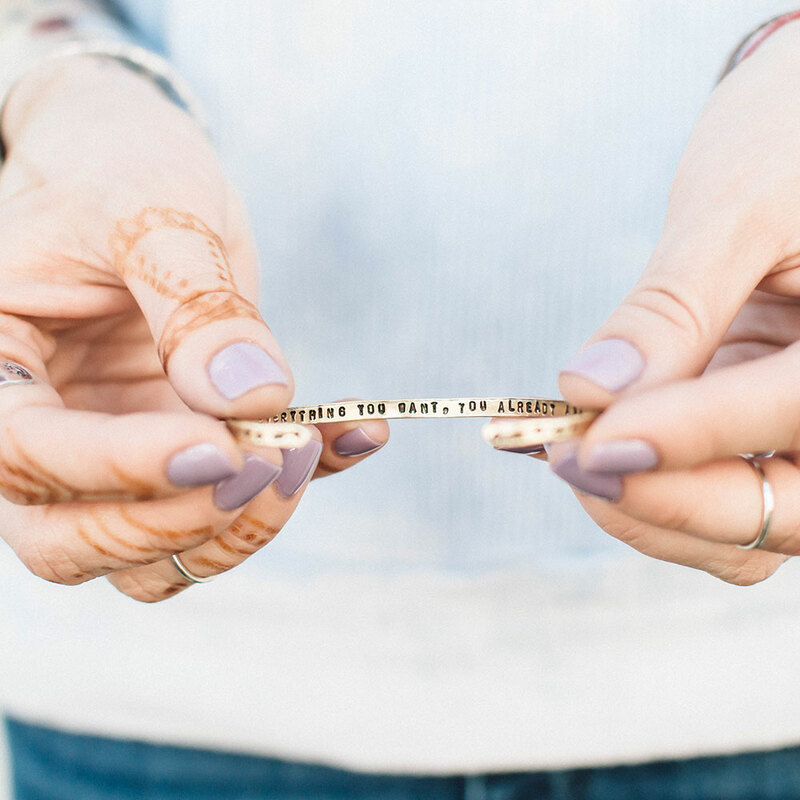 If you’re going through a period of change and need a reminder that everything is as it should be, recite this mantra or wear it on your wrist. Aim. This mantra is the mantra of Saraswati, the goddess of creativity. She represents the pursuit of knowledge, art, philosophy, and music. If you’re lacking inspiration and want to tap into your creativity, meditate on this mantra. I trust my soul. 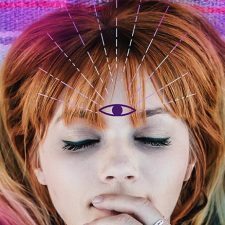 If your third eye chakra feels blocked or you’re struggling to access your intuition, use this mantra. Carry it with you as a reminder that all the answers you seek lie within you. I am love. You are abundant. You are love. Use this mantra when you’re craving some extra self-care or find yourself stuck in a mindset of lack rather than abundance. I am exactly where I am supposed to be. Feeling doubt and fear is part of being human. When you find yourself in that place of fear, use this mantra to take a moment of recognition that you are exactly where you need to be, despite your fear and doubt. I walk in my truth. 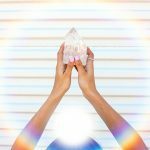 This is another great mantra to help you tap into your intuition. 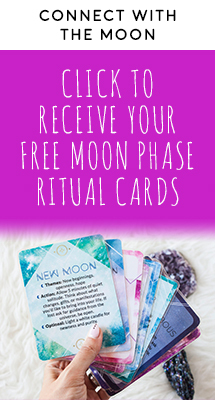 Use it to connect to your satya, your deepest truth. 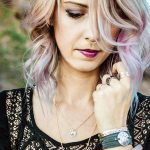 This cuff bracelet serves as a beautiful note-to-self that your intuition is always available to you. The abundance of the Universe flows to me, and I receive freely without hesitation. What you focus on expands. 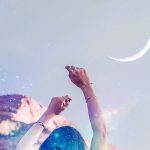 If you feel stuck in fear, doubt, or a mindset of scarcity, use this mantra to shift into a mindset of abundance and trust, and open yourself up to receive the gifts of the Universe. Everything I want, I already am. It’s easy to get stuck in comparison and a mindset of always grinding, striving, and going. Recite this mantra when you want to bring more presence and gratitude into your life. 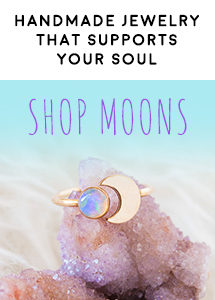 Wear it on your wrist as a daily reminder to access the feminine energy of being that resides within you. Om Gum Ganapatayei Namah. This is the Ganesha mantra, translated as “I bow to Ganesha, who is capable of removing all obstacles. I pray for blessings and protection.” Ganesha is the Hindu god of wisdom and success, and the destroyer of obstacles. Meditate on this mantra when you’re facing a big challenge or before you take a big leap in life, love, or work. I release that which is not meant for me. If you’re struggling to let go or dealing with a hard situation like a breakup or the end of a friendship, this mantra may sound like wishful thinking. But what you think, you become. 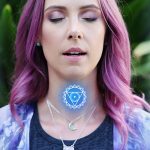 This mantra will help you release the energy you no longer need, let go, and heal. 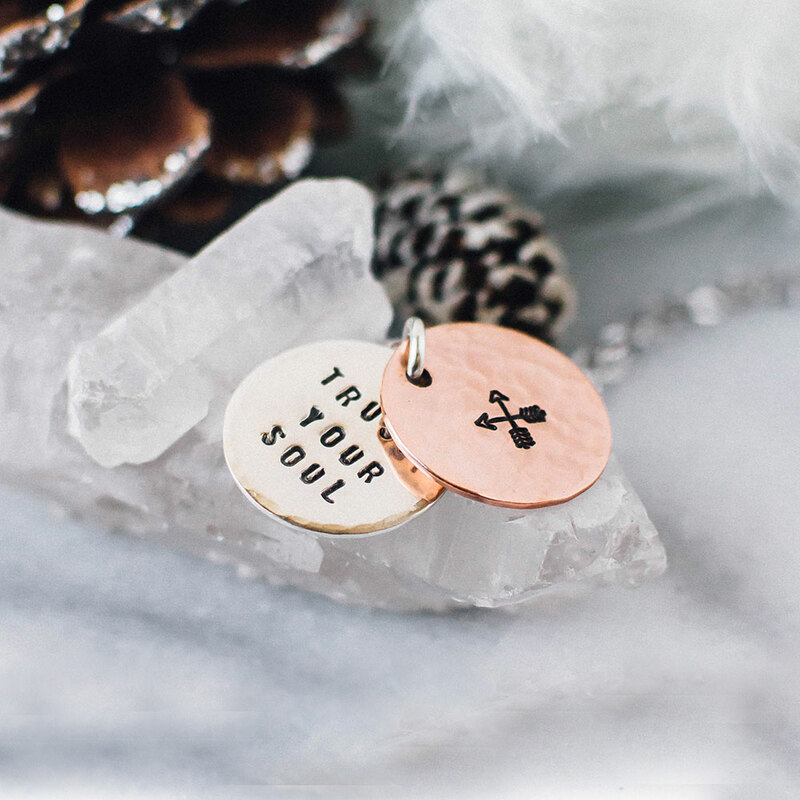 Wear a secret message “let go and trust” ring as reminder that you can release the energy, people, and situations that no longer serve you. I am here now. When you struggle with feeling disconnected, use this mantra to cultivate presence. It’s easy to get caught up in the past and the future. This mantra reminds you that the only place you need to be is exactly where you are. Lokah Samastah Sukhino Bhavantu. This beautiful Sanskrit mantra can be roughly translated as “may all beings be happy and free, and may my thoughts, words, and actions contribute to that happiness and freedom.” Return to this mantra to create more harmony, peace, compassion, and a sense of interconnectedness of all beings on the Earth. Breathe. Sometimes all you need is a reminder to breathe and just be as you are. There is nothing you need to change or push or do. 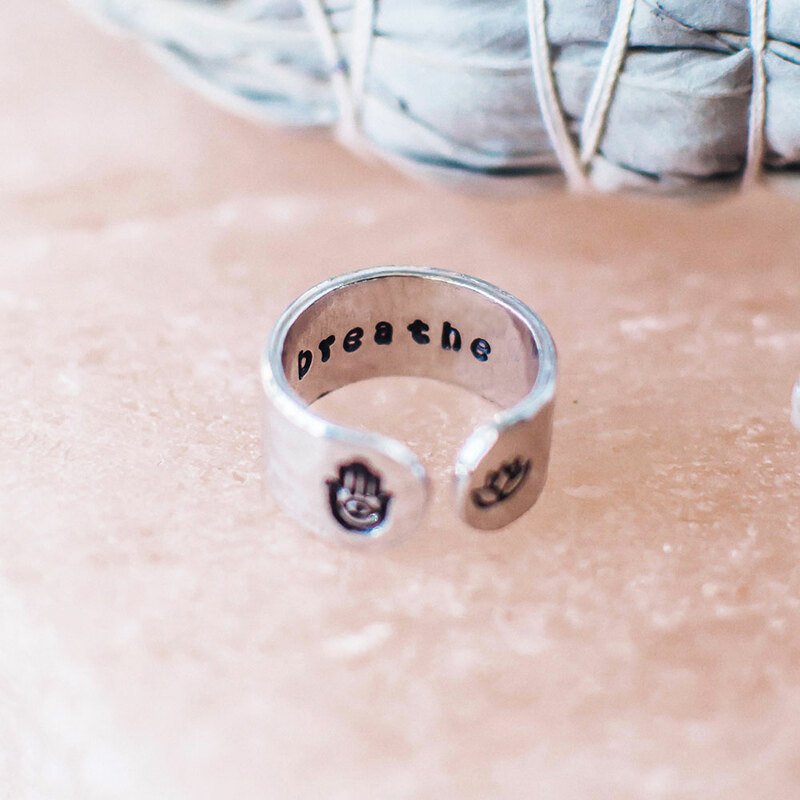 Focus on the breath, and wear a secret message “breathe” ring to help you access this place of peace wherever you are. Remember that mantras are always available to you, whether you chant them on your yoga mat or meditate on them silently while you’re on the subway. Weave them into the fabric of your life and watch how your life expands. 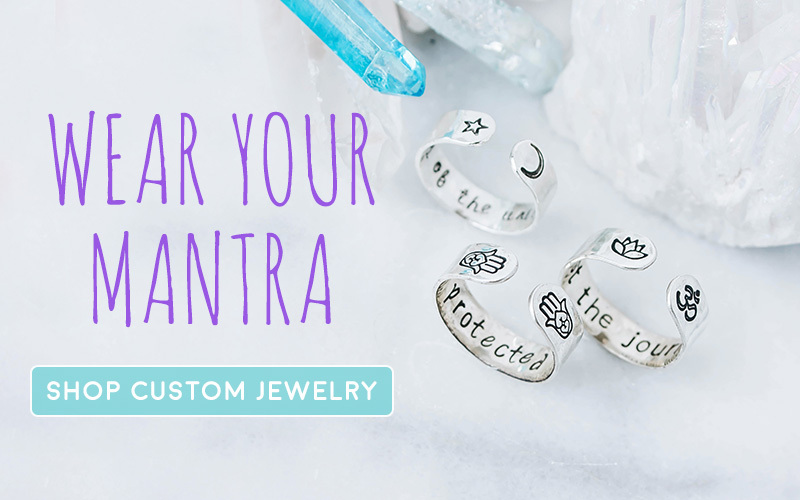 Want to keep your favorite mantra close to your heart? 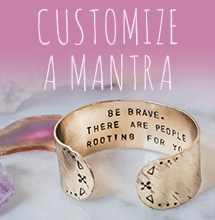 Customize your own ring, bracelet, or necklace here.